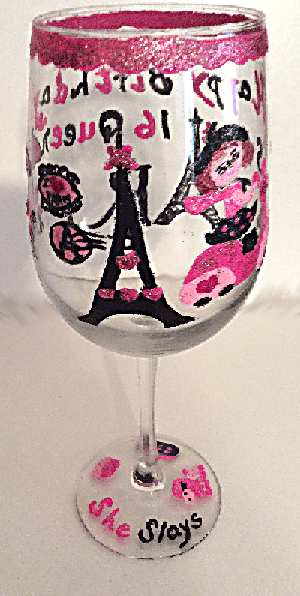 Clearly Susan's Parisian wine glasses depict the true meaning of the city and all the wonderful symbols that represent this wonderful French city. Everyone wants to go to the "City of Light" the most romantic city in the world. Parisians are known for their sophisticated flare of fashion, culture, art, wine and architecture. 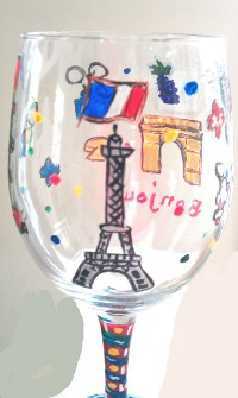 Our designs on hand painted wine glasses of Paris for the Birthday of a 90 year old lady who is in love with Paris. 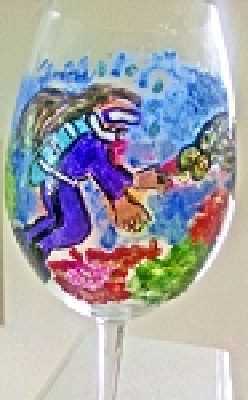 French designs hand painted include the Eiffel Tower, the French flag, French wine, perfume, and a cafe, table and chair.